At the time of planning the national LTER network (FinLTSER) in Finland, the approach of linking social and ecological issues in solving environmental problems was already well embedded in science and policy institutions and practices. A broad community of environmental, natural and social scientists had been carrying out problem-oriented research related to environmental issues for many years before the concept of LTSER platforms raised wide interest among Finnish research institutes. 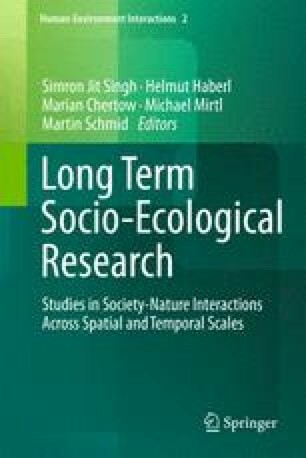 In this article, we analyse the research culture leading to this high level of interest and enthusiasm regarding socio-ecological research during the development phase of the FinLTSER network. By using interview and other materials from the process of establishment of the FinLTSER, this chapter analyses the initiation of the network, the very first steps taken by the platforms and the challenges faced during this period. ALTER-Net. (2005). A long term biodiversity, ecosystem and awareness research network. www.alter-net.info. Accessed July 15, 2011. FinLTSER. (2005). Finnish long-term socio-ecological research network. FinLTSER. www.environment.fi/syke/lter. Accessed July 15, 2011.